Mental Health – What’s it all about? Mental Health – Understanding what’s it all about? Mental health difficulties cause people to think, act and feel differently from how they usually do. This may be different to how the people around them think and act but for the person with the mental health difficulty these feelings are real. Having a mental health difficulty does not make someone lazy, bad or stupid. Mental health difficulties are common with at least 1 in 5 people experiencing one. Some are more severe than others and some will have more noticeable symptoms. In most cases they are manageable and people are able to live happy and successful lives. Mental health difficulties may affect a person from any religion, culture, economic background or nationality. There are a number of factors that are associated with mental health difficulties. Family history – Most illnesses have a genetic component. This means that if a family member has a mental health difficulty others may be at higher risk. Chemical balance – An imbalance of chemicals (called neurotransmitters) in the brain can cause symptoms of a mental illness to emerge. Most drugs used to manage mental health difficulties try to correct this balance. Stressful life events – Stressful experiences such as grief or loss, experiencing violence or a traumatic accident may trigger mental health difficulties. Drug use – Research has shown that using drugs may lead to mental health difficulties. For example there has been a link between psychosis and the heavy use of marijuana and amphetamines. Some drugs such as hallucinogens, marijuana and amphetamines may trigger a psychotic episode. Treatment of psychosis usually involves medication and if someone is experiencing a psychotic episode it is important that they seek help from a doctor, psychiatrist and/or psychiatrist. Ongoing delusions – believing things about themselves that no one else believes, such as thinking they are being watched, or have particular powers or abilities they don’t actually have. Schizophrenia does not mean someone has more than one personality or ‘split personalities’. 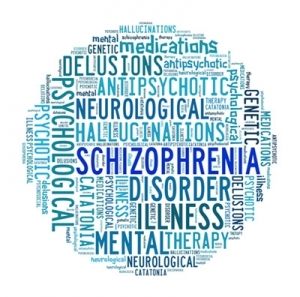 With medication and support schizophrenia can be managed. Having the support of family and friends may also be very helpful. 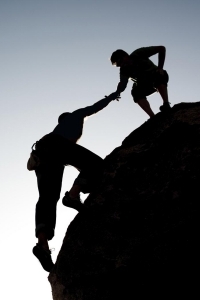 The earlier people receive help for schizophrenia the greater the chance of a better outcome. There are many forms of anxiety disorder that can stop people doing what they want to do. Some people have sudden unexplained panic attacks that can seem out of their control. Some people experience phobias like agoraphobia (fear of being in an open space). Other people become anxious about something in particular. This can lead to obsessive behaviour causing them to check and recheck things, for example having to go home to check they turned off the stove. People who experience high levels of anxiety can learn to manage, and to reduce, their anxiety levels. When someone has problems concentrating and attending to tasks, they may have an attention deficit disorder. The condition may have started in early childhood. They may be easily distracted, excessively active or have a tendency to go off into daydreams more than others. People with attention deficit disorders find situations like paying attention in class particularly difficult, and this can lead to conflict with teachers or other authority figures. They may feel like the world is against them because of the conflicts that arise due to their inability to concentrate. People with attention deficit disorders may have a lot of energy and become involved in many activities that can be positive. Eating disorder is the term used to describe a group of illnesses where someone has a distorted view of body image with a preoccupation with control over eating, food and weight. There are a number of different eating disorders including Anorexia Nervosa, Bulimia Nervosa and Binge Eating Disorder.